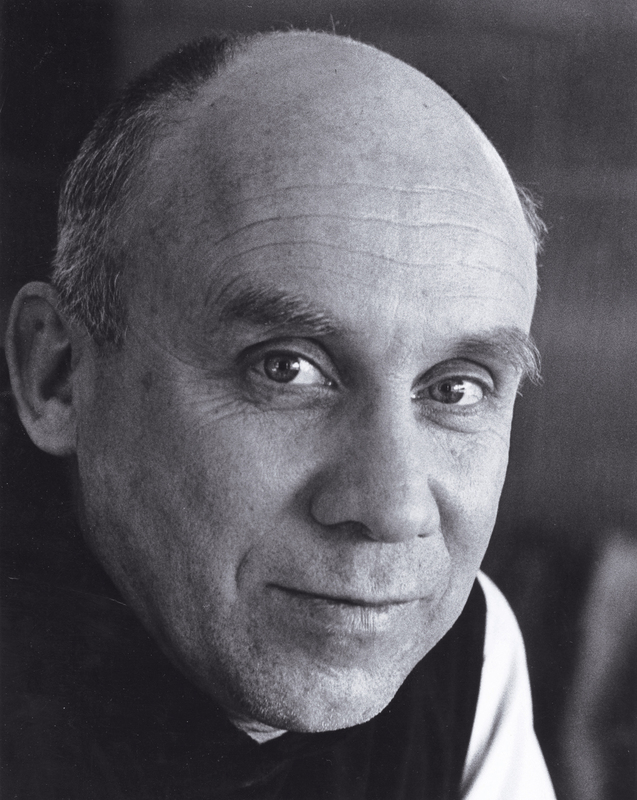 Jan. 31, 2015, would have marked the 100th birthday of the American Trappist monk and author Thomas Merton. But having died suddenly in Thailand on Dec. 10, 1968, while overseas to speak at conferences for Catholic monastic communities in Asia, Merton never lived to see a birthday beyond his 53rd. Yet his wisdom, writing and model of Christian engagement with the world continue to be relevant and timely. Though Thomas Merton’s life was short, his output in terms of writing, poetry and correspondence was extraordinarily productive. The diversity of his work makes abundantly clear his importance in a number of areas related to Christian living, creative expression and social action. His continued popularity is confirmed by his perennial status as a best-selling author, a rare accomplishment. Many of his books have never gone out of print. The depth of his thought and spiritual genius is confirmed by the ever-growing bibliography of new articles and books written about Merton by scholars in diverse fields from theology and spirituality to American history, literature and peace studies. As both a member of the millennial generation and a professional scholar of Merton’s work, I take Cardinal Wuerl’s remark very seriously. In a sense, he is right. Not many of my peers—let alone people younger than I—know Merton in the same way that previous generations have, many of whom read Merton’s spiritual autobiography The Seven Storey Mountain and recognized Thomas Merton as a household name. Yet in another sense Cardinal Wuerl’s reported view discounted the power of Merton’s true legacy. Merton does, in fact, resonate with the young adults who are introduced to his work, and it is the responsibility of the American church to remedy precisely what the cardinal was diagnosing. We must pass on to the next generation the wisdom and example of Merton so young Catholics can know him too. As we celebrate the centenary of Merton’s birth it seems fitting to take a closer look at some of the ways Merton can continue to speak to us today. Several themes are especially timely, particularly for us millennials. Conversion is arguably the most significant theme in Merton’s life. Those who came to know Merton first through The Seven Storey Mountain would recognize it as the thread that drives the narrative. Born to creative but largely unreligious parents, both of whom died before Merton turned 16, Merton grew up in an environment mostly devoid of religious practice or reflection. From the time of his memoir’s publication onward, Merton was hailed as a contemporary St. Augustine, whose “modern-day Confessions” highlighted how God’s grace breaks through an all-but-atheistic young man’s self-centeredness to inspire conversion to Christianity and eventually religious life. This is how Merton presented his story, which concludes with his entrance into the Trappist Order at the Abbey of Gethsemani in Kentucky. But Merton’s conversion did not end there. Real conversion never ends. In fact, like Augustine’s Confessions, Merton’s memoir bears the marks of what literary critics call the “unreliable narrator.” We are presented with a compelling narrative, undoubtedly grounded in truth, but one that nevertheless emphasizes certain elements and overlooks others. With time on our side, as well as the resources of Merton’s journals, correspondence and the impressive official biography by Michael Mott, we know that his young adult life was probably much like the experience of the average college student. He questioned his beliefs, experimented with political associations, including Communism, developed his creative and artistic side, made lifelong friends, got into trouble and was shaped by his undergraduate mentors. If anything, Merton suffered most acutely from a closed worldview and lack of awareness of the needs of others, especially those outside his immediate circle. But as Lawrence Cunningham of the University of Notre Dame has written, “The period of the 1950s was a time of deep change in Merton’s thinking, a change radical enough to be called a ‘conversion’ (or, perhaps better, a series of conversions).” Merton’s experience of graced conversion did not end with his profession of religious vows and the donning of a Trappist habit. Rather, the shifts in Merton’s outlook on the world and God’s presence in it powerfully influenced his writing style and subject matter. It was as if a veil was lifted or his eyes were opened to the realities of violence, injustice and suffering around the world. He began to correspond with civil rights activists, world leaders and artists. He established what he would later describe in a letter to Pope John XXIII as “an apostolate of friendship” that allowed him to reach out to so many through his writing and correspondence. In an age of hyperconnectivity and rapid communication, young women and men are instantly aware of what is happening around the globe. The result is something like a preliminary conversion, a move toward awareness of something beyond oneself. But the slacktivism of today is not unlike the religious interiority of Merton’s early conversion. Over time Merton came to realize that he was (to be anachronistic) a slacktivist, someone who thought he was doing good for others but without taking the risk of putting himself in relationship with those he sought to help. Millennials can look to Merton as a model of someone who remained open to continual conversion, open to the challenge of God’s spirit, open to doing something more and risking much for the sake of another. He used his social location within the monastery, on the margins of society, to critique the injustices of his time—racism, nuclear armament, poverty—and then reach out to support, comfort and guide his readers and help to organize change. Reading across Merton’s corpus, beyond The Seven Storey Mountain into his social criticism of the 1960s, can offer young people today a model for moving from slacktivism toward solidarity, from Tweeting about an issue toward doing something real about it. Merton’s ongoing conversion opened him up to a variety of encounters and relationships that traversed the boundaries of the early 20th-century insular world of American Catholicism to engage in dialogue with people of different faiths and those with no affiliation at all. As early as the 1950s, Merton anticipated one of the monumental shifts that would emerge from the Second Vatican Council. Even today Merton is criticized by some who hold to a naïve reading of the patristic saying, Extra ecclesiam nulla salus (“Outside the church there is no salvation”) and believe that Merton overstepped his bounds as a Catholic priest by participating in dialogue with Muslims, Jews, Buddhists and Christians of other denominations. Some have even gone so far as to claim that Merton had “abandoned his faith” for some syncretic religious view. This could not be further from the truth. The more I am able to affirm others, to say “yes” to them in myself, by discovering them in myself and myself in them, the more real I am.... I will be a better Catholic, not if I can refute every shade of Protestantism [or other faiths], but if I can affirm the truth in it and still go further. At the root of Merton’s engagement with people different from himself was the sense of “original unity,” which he recognized bound all people together as children of God. He understood that he could not have an authentic conversation about faith with others if he did not have a firm commitment and deep love for his own tradition. Before Vatican II promulgated “The Declaration on the Relationship of the Church to Non-Christian Religions,” Merton already understood that “the Catholic Church rejects nothing that is true and holy in these [other] religions” (No. 2). The Dalai Lama wrote in an op-ed in The New York Times in 2010, “While preserving faith toward one’s own tradition, one can respect, admire and appreciate other traditions.” He went on to explain that it was none other than Thomas Merton, with whom he met personally in 1968, who offered him this insight. “Merton told me he could be perfectly faithful to Christianity, yet learn in depth from other religions like Buddhism. The same is true for me as an ardent Buddhist learning from the world’s other great religions.” For Merton then, as for the Dalai Lama today, compassion for and personal encounter with people of other faiths does not diminish one’s own religious convictions—if anything, it strengthens them. Merton shows us as much by living out what he came to realize was his “vocation of unity,” to borrow a phrase from the Merton scholar Christine Bochen. Merton continues to speak a prophetic word to us today, but who is listening? Cardinal Wuerl may be correct that Merton is not as popular as he once was, but it is not because Merton does not appeal to young adults. Courses on Merton’s life and work are taught at colleges and universities around the United States today. The International Thomas Merton Society (on whose board of directors I currently serve) established the Robert E. Daggy scholarship program in 1996 to fund young adult participation at the society’s biennial conference. Set up by the late Rev. William Shannon, a renowned Merton scholar and the first president of the Merton Society, the scholarship has helped hundreds of young women and men delve more deeply into the popular and scholarly discussions about Merton’s life and work. My own travels speaking around the country and abroad offer anecdotal confirmation that when young adults are exposed to Merton’s writings and thought, they are captivated and often can relate to his experience of conversion, his openness to the diversity of others and his radical commitment to social justice and peace. This is the problem as you assiduously describe, "To what is Merton referring to?" Its ambiguity lends itself to relativized interpretations from any angle. Has he in his attempt to convey mystically what he's experienced spoken about an abstract idea or revealed his conviction for the Person of Christ? His mysticism lends itself but to ideas that are ambiguous at best and controversial at least. If we are in love with Christ, the Person, how can one come to know God when we attempt to present Him as an abstract idea that any faith can relativize and adopt for themselves, and in doing so, not completely present Him as He revealed Himself through The Church? Not ambiguous at all. Catholics should be able more than any other religion to say, the Father of our Lord Jesus Christ, is the Father of us all, making Jesus the brother of us all, in the Holy Spirit. I think Pope Benedict XVI and earlier as Head of the Congregation of the Doctrine of the Faith is responsible for failing to exploit the advantages of the Scriptural teaching of the universal call to salvation by his false concern of relativism. He also undermined the stress of Vatican II in its Documents of World Religions and its document on Ecumenism. Cardinal Wuerl follows the same track. The author, Fr. Horan, in this article is too kind to Cardinal Wuerl in pointing out his hidden agenda by omitting inclusion of Merton in an American Catholic Catechism..
What you state is not what Merton stated, hence the ambiguity. Surely, you can see this. If he had stated this clearly as you so deftly do, I'm sure his intended audience (i.e., members of other faiths) would not have identified with it. This is the reason why some within The Church are reluctant to acknowledge everything Merton stated as being completely in line with Church Teaching. Maybe had he lived would he have been able to clarify further what he meant. As for relativism, it is here whether you acknowledge it or not, and Pope Benedict in his writings clearly delineates its modern reality with its apparent refusal to acknowledge less even discuss objective realities based on transcendental truths. I cannot deny that relativism, scientific naturalism, materialism, atheism exist and flourish, but I do not see that in Merton. I often think that as soon as someone becomes a Pope, such as John Paul II and Benedict XVI, suddenly their books are discovered and they become best sellers. Before being elected Pope, few ever heard of them or their books. Merton had no such advantage, People love him and read his books solely on the basis of what he said and did. To me that is what is important and not whether Cardinal Wuerl decides he has reason to exclude him from the new American Catholic Catechism. Merton's books and ideas continue to be read and followed almost fifty years after his death. If Merton had made it to the Papacy, he would have been canonized by now. Thank you Father Horan. I think I will go ready Merton's New Seeds of Contemplation now. I'm loathe to weigh in on the other comments, since there are going to be people on both sides of any argument. (I happen to be on Horan's and Merton's side on this one. Merton was both Catholic and catholic.) But I can say -- without disagreement -- that the beautiful photo portrait of Merton should have been attributed to his friend John Howard Griffin. Maybe I just missed it. You don't know who I am. If I could show you a way to better know God, and by extension be a better Catholic, would it matter? Those who are truly searching will understand. Those who have read Thomas Merton's work attest to the fact of its efficacy. Why wouldn't one want to include such a tool? I think one of the chief ways in which Merton can speak to millennials (or anyone else for that matter) involves his perspective on how to make sense of the evil and the suffering that we see everywhere around us. In the face of events like Sandy Hook, the continuing devastation in Syria, the rampages of Boko Haram in Nigera, etc., etc., I believe that many people, the young in particular, throw their hands up in sorrow and conclude that we are alone in a dark and cruel universe. But on the contrary, as Merton explains in The Seven Storey Mountain: “It is only the infinite mercy and love of God that has prevented us from tearing ourselves to pieces and destroying His entire creation long ago. People seem to think that it is in some way a proof that no merciful God exists, if we have so many wars. On the contrary, consider how in spite of centuries of sin and greed and lust and cruelty and hatred and avarice and oppression and injustice, spawned and bred by the free wills of men, the human race can still recover, each time, and can still produce man and women who overcome evil with good, hatred with love, greed with charity, lust and cruelty with sanctity. How could all this be possible without the merciful love of God, pouring out His grace upon us?" Cardinal Donald Wuerl ... who? One of the ways envy, or bias, fails to recognize itself is by pretending it is reasoned action. It was a little myopic and a little disingenuous for Wuerl to proffer, “the generation we were speaking to had no idea who [Merton] was.” Not unlike an imagined desultory and officious aide to Pope Innocent III in 13th century, scoffing, saying of Francis of Assisi, “He’ll never amount to anything. Give him a blessing. Send him home!” We might imagine the good cardinal-lobbyist of Washington D.C. thinking he was doing the church a favor by responding to the whispered 12th century question of Henry II about Thomas Becket, updated, “Will no one rid me of this meddlesome monk?” No! Not now. Gratefully. This article also appeared in print, under the headline "Merton (Still) Matters," in the January 19-26, 2015 issue. Daniel P. Horan, O.F.M., is a columnist for America and the author of several books, including The Franciscan Heart of Thomas Merton.